A new year brings renewed fitness resolutions – and with it, new diet fads. A 2017 YouGov survey found that 37% of Americans set New Year's resolutions that included "eat [ing] healthier"; the same percentage vowed to "get more exercise." In the past two decades, Crossfit, Zumba, Paleo diets, veganism, Atkin's, yoga and Pilates have had their rise and fall in the canon of fitness. It is difficult to separate the noise from the signal when it comes to determining which healthy habits are optimal. In a twist on most health research findings, a new study of modern and ancient hunter-gatherer groups suggests there is no one optimal diet for human health. "Our whole species has evolved from hunter-gatherer communities," Herman Pontzer, lead author of the study and associate professor of evolutionary anthropology at Duke University, explained to Salon. The research, published in the journal Obesity. The study notes hunter-gatherer communities are important for public health professionals to study because they can provide a better understanding of the root of "diseases of civilization," which are often thought to be linked to diet. The study notes that obesity and metabolic disease are rare among hunter-gatherer communities, both modern and old, as well as type 2 diabetes. Causes of death in hunter-gatherer communities are mostly from trauma, including accidents and violence, or infectious acute diseases. The percentage of deaths from noncommunicable diseases, such as heart disease and cancers, is very low, but that is not to say. "If you go live with hunter-gatherers, the thing you're overwhelmed by is how active they are "He told Salon. The popular fetishization of pre-agricultural tribes diets is the source of inspiration for the wildly popular Paleo diet, a diet based on what has been consumed during the paleolithic era. Pontzer said this diet is not the most "natural" diet for humans. "Anyone who argues that there is a true human diet is just wrong," he said. "Humans have been healthy through a variety of diets. It's incredibly variable. " Some commonalities among the communities in the paper are that they all eat meat, fish and plants. Generally, they consume more than the average American Hunter-gatherer groups, the researchers. <br> <br> <br> <br> <br> <br> <br> <br> <br> <br> <br> <br> <br> <br> <br> <br> <br> <br> Hunter-gatherer groups, the researchers explain. 5 to 20 percent of their diet, the study states. 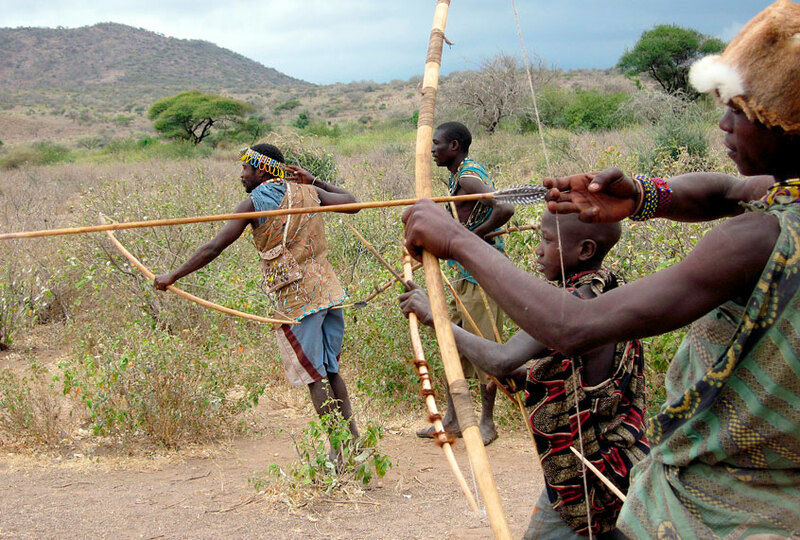 The amount of calories the hadza consume is similar to that of the hadza. According to the Hadza consensus, the Hadza relies on a small selection of foods to the study, what you are doing and how to do it. As the study explains, exercise can act as a way to regulate energy expended each day – energy that the body may spend on inflammation if not used. "Exercise may also help to regulate appetite, improving the balance between energy." loss and loss, "the study states. Researchers concluded the study by bringing attention to other parts of the hunter-gatherer lifestyle. "Close friendships and family bonds, low levels of social." and economic inequality and lots of time spent outdoors are typical in hunter-gatherer populations and other small-scale societies, "the study states. "The absence of these in modern societies is associated with chronic social stress and a range of non-communicable diseases, including metabolic disease and obesity. As we work to understand the evolutionary roots of modern disease, we should strive for a more inclusive and holistic understanding of lifestyle and health among hunter-gatherers today and in our collective past. " The study takes pains not to suggest that the industrialized world should go back to hunter-gatherer diets. Pontzer said it's about finding the elements that are painting in our daily lives that work for hunter-gatherers. "One lesson was able to stay on your feet and move as much as you can every day, watch what you These are all good places to start, "he said. In other words, do not stress about counting Atkins points or walking precise 10,000 steps a day. Broad strokes – rather than obsessive counting of calories, steps and sugar – seagulls to be key to health.